Edwin Ray Guthrie(1886-1959) was an American psychologist. Although he wrote on philosophy and in different areas of psychology, Guthrie was primarily noted for his work in evolving a single simple theory of learning. Edwin Guthrie, born Jan. 9, 1886, in Lincoln, Nebr., was one of five children. His mother was a schoolteacher, and his father a store manager. He graduated and received a master's degree from the University of Nebraska, specializing in mathematics, philosophy, and psychology. He entered the University of Pennsylvania as a Harrison fellow, receiving his doctorate in 1912. His educational training and background reflect his analytical frame of reference in his psychological writings. Guthrie taught high school mathematics for 5 years in Lincoln and Philadelphia. In 1914 he joined the University of Washington as an instructor in the department of philosophy, changing to the department of psychology 5 years later. During his rise to full professor in 1928, he developed his learning theory in association with Stevenson Smith, who was then department chairman of psychology at Washington. Guthrie married Helen MacDonald of Berkeley, Calif., in June 1920. They traveled widely, and in France Guthrie met Pierre Janet, whose Principles of Psychotherapy he translated with his wife. Janet's writing had a great influence on Guthrie's thinking. To Janet's descriptive psychology and physiological concepts as sources of action, Guthrie added an objective theory of learning. 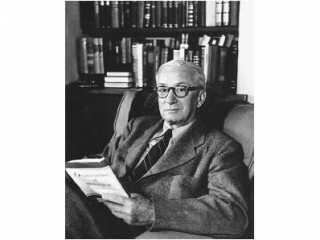 In the latter part of the 1920s Guthrie concerned himself with such topics as fusion on nonmusical intervals, measurement of introversion and extroversion, and purpose and mechanism in psychology. He seemed more inclined toward the exploration of learning in the 1930s and thereafter. Much honored, Guthrie was elected president of the American Psychological Association. During World War II he was a lieutenant in the U.S. Army, serving as a consultant to the overseas branch of the general staff of the War Department and Office of War Information. He was made dean of the graduate school at the University of Washington in 1943. Guthrie was considered a behaviorist. Behaviorism was a school of psychology which felt that psychology as a science must be predicated on a study of what is observable. Behaviorists excluded self-observation as a scientific method of investigation and preferred experimentation. They examined the concept of association and its limits in explaining how learning takes place. Guthrie's interpretations in his writings are based on the theory of learning: "A combination of stimuli which has accompanied a movement will on its recurrence tend to be followed by that movement." In his theory Guthrie avoids mention of drives, successive repetitions, rewards, or punishment. He refers to stimuli and movement in combination. There is one type of learning; the same principle which applies for learning in one instance also applies for learning in all instances. The difference seen in learning does not arise from there being different kinds of learning but rather from different kinds of situations. View the full website biography of Edwin Guthrie.